On the other side is the Erasmus quote from my header: “When I get a little money, I buy books. If any is left I buy food and clothes”. 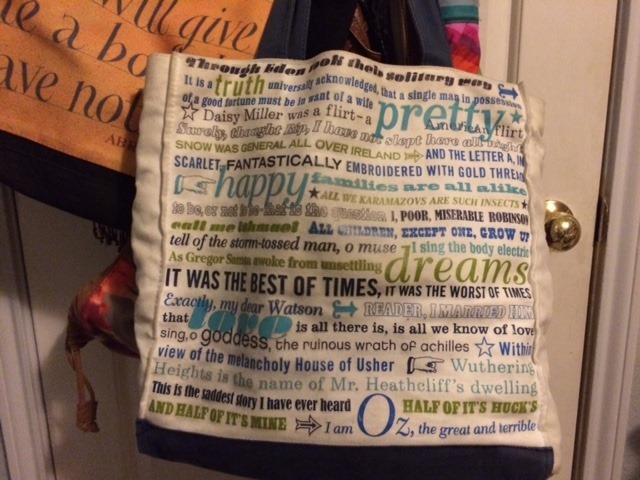 Another book bag with famous quotes from classic literature! Recognize any? Hopping through. Those are fabulous bags! I can’t decide which I like better. Thanks! I LOVE them 🙂 I get tons of compliments on them! I like your bags. I bet anyone who stands near you has to have a read, I know I would to see if I knew any. Have a great weekend. 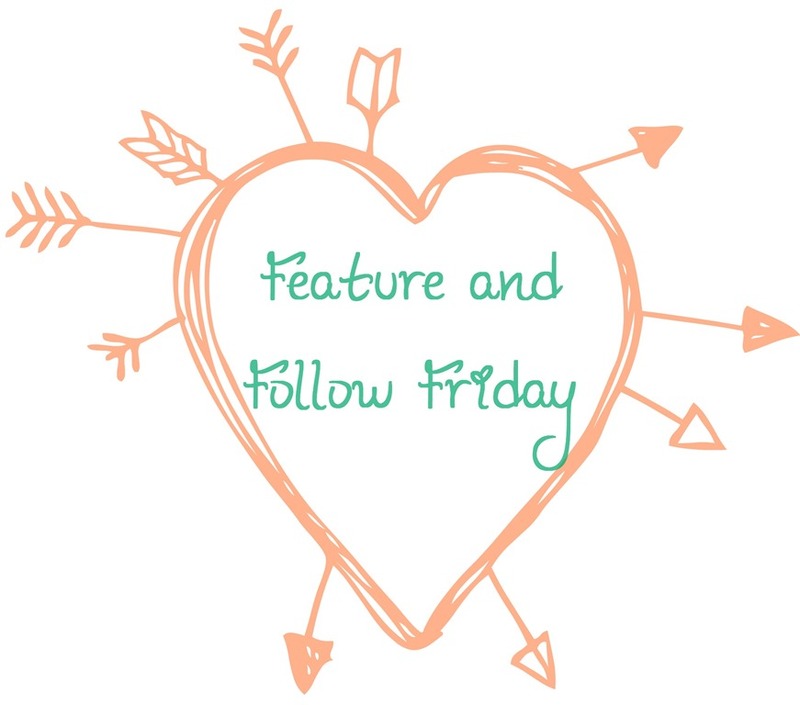 I’m an old bloglovin follower dropping by to say “hi”. Here’s my FF. 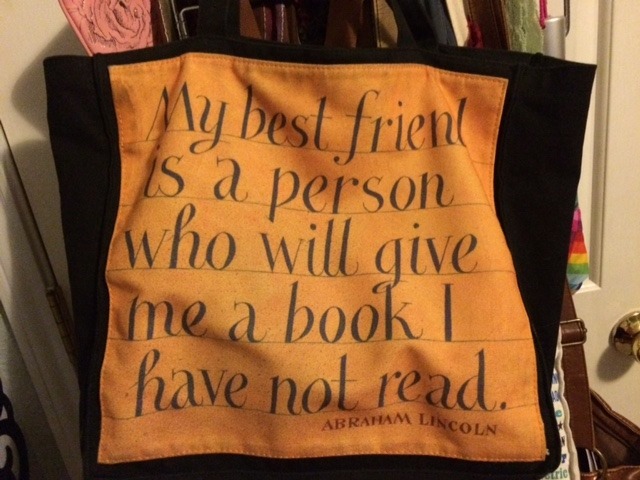 I LOVE book bags!!!! I have a few too. I really like yours and now I’m hankering to buy myself another one! Great bags! You can always use more right?! I am an old follower 🙂 Feel free to stop over and see all the stuff I dug up!